The 2017 rental season has proven to be VERY busy. We think a combination of favorable bank terms and an abundance of available property paved the way for many first time home buyers. Not a problem for Inselmini Rental Properties. We took the opportunity to upgrade many of our townhouses in-between old residents moving out and new residents moving in. Many of our units were refurbished with new flooring, LED lights, paint, and some got updated new bathrooms. Stop in and see us today for your next apartment home. To inquire about available rentals, please call Judy Pettina at 724-537-4489 or visit our Contact Us page. Located in Bradenville along Route 982, Inselmini Rental Properties provides apartments and townhouses conveniently located near major employers and recreational opportunities in the Laurel Highlands. Each apartment rental is built with the same attention to detail and quality construction that is afforded our custom homes. You’re sure to appreciate our sensible designs, noise insulation, ample storage, and large room sizes. The two-bedroom townhouses are approximately 1200 SF on two levels and are available with or without a single car garage. Large living rooms are equipped with CATV and phone hook-ups to accommodate the demands of today’s consumer. There is a powder room located just off the living room for convenience. The combination kitchen/dining room is equipped with oak cabinetry, modern appliances, and ample space for entertaining guests around the table. The appliance package includes a refrigerator, electric range and dishwasher. Rental units that feature a garage, have a door leading from the kitchen to a rear patio. On the second floor, the large bedrooms feature double, lighted closets and overhead ceiling lights. Washer/dryer hook-ups are located in the full bathroom on the second floor. There is wall-to-wall carpeting and ceramic tile floors throughout the townhouses, as well as economical HVAC systems. Mini blinds are included on all windows so new tenants can move-in with ease. When you are ready to settle into your next apartment/home, contact Inselmini Rental Properties. 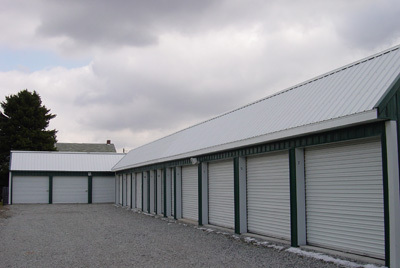 Located in Latrobe, Inselmini Rental Properties offers unheated storage units ranging in price from $45 – $70 per month. We offer both 5’ x 20’ and 10’ x 20’ spaces, available on a convenient month-to-month lease. Larger storage units feature a roll-up garage door, providing excellent winter storage for cars, boats, and vans. Access is available 24/7 with renters providing their own locks. Family townhouses are available in Derry School District and Greater Latrobe School District. Apartment Rentals are convenient to Laurel Highland attractions including Seven Springs and Hidden Valley ski resorts, Frank Lloyd Wright’s Fallingwater® and the historic, charming town of Ligonier. Visit our Quality of Life page to learn more.